Want whiter teeth? 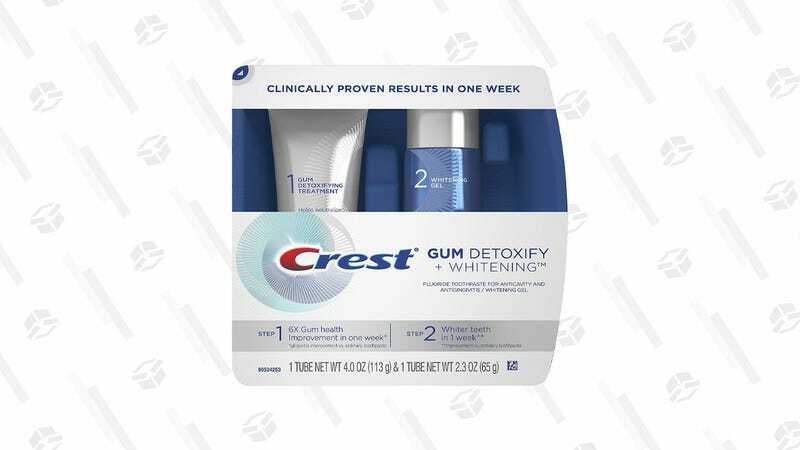 Crest’s Gum Detoxify Plus is a two-step system for whitening your teeth and promises results after a week’s worth of use. Compelling, no? 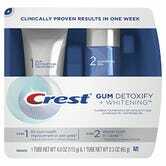 Here’s how it works: First, brush your teeth for one minute with the toothpaste from the Step 1 tube, then without rinsing, brush for another minute with whitening gel from the Step 2 tube. If you’re curious to try it out yourself, Amazon’s offering a $2 coupon on the system, bringing it down to $11 at checkout.